WARNING: (State of California Prop 65) This product contains a chemical known to the State of California to cause birth defects or other reproductive harm. This product can be taken daily for ongoing maintenance of well-being. 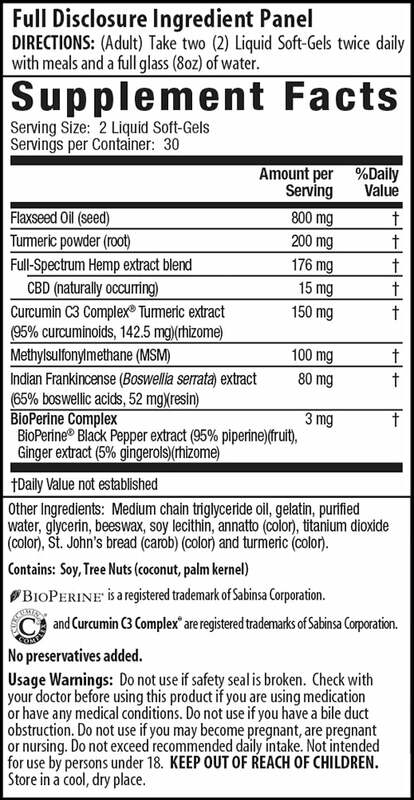 * Each serving contains 15 mg CBD and 450 mg per bottle. Copyright © 2019 Irwin Naturals. Join our newsletter and save 10% off your first order! at checkout for 10% off of your first order!